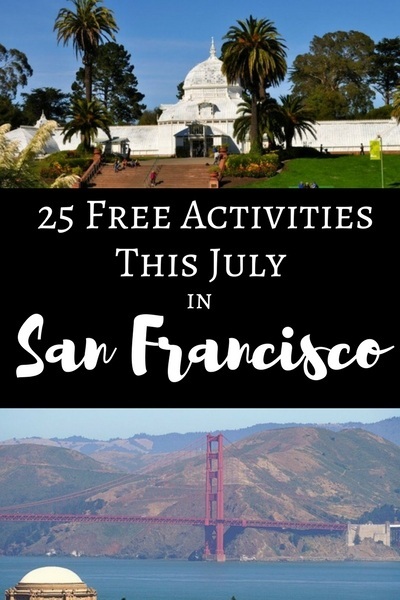 Discover my 25 favorite free things to do in San Francisco in July. Each year, you can enjoy top events such as the Fillmore Jazz Festival, Stern Grove Concerts in the Park, and our large Fourth of July fireworks display. It's also a fun time to visit the Golden Gate Bridge, stroll around the Palace of Fine Arts, and hike to the top of Twin Peaks. Get more details on these and other top free activities this month in SF. For all of those that love Anime & Cosplay, make sure to check out this annual festival in Japantown. 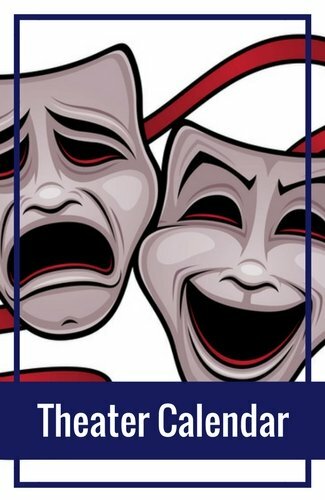 Dress in your best costume for a day full of performances and activities. If you are new to Cosplay, make sure to stop by the Cosplay 101 booth to learn more from local cosplayers. You don't have to be in costume to visit and enjoy the festival. One of the largest jazz festivals on the west coast is the Fillmore Jazz Festival. This free event is always the first weekend in July. You will find it on Fillmore Street in SF's Pacific Heights district. On Saturday and Sunday, you can enjoy live music, visit arts & crafts booths, and purchase local gourmet goodies. One of the most popular free things to do in San Francisco in July is to take advantage of our free museum admission days. Each month, several of our top museums allow the public to visit without having to pay admission. 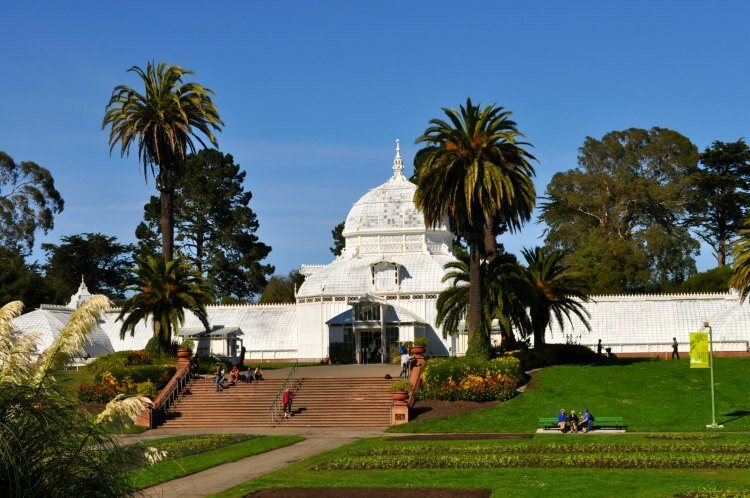 Some of the top museums include the Conservatory of Flowers, the SF Botanical Gardens, and the Asian Art Museum. 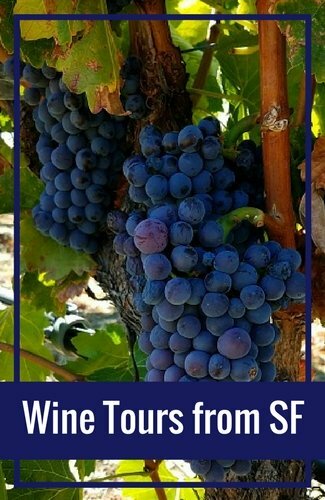 Another one of my favorite free things to do in San Francisco in July is our free walking tours. They are given everyday by SF City Guides. This non-profit organization will tell you all about our top districts and attractions. 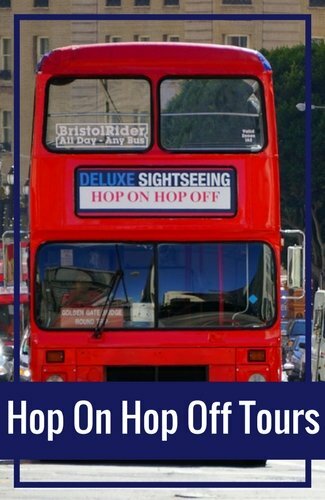 The local guides are knowledgeable and will take you on tours of places such as the Japanese Tea Garden, the Golden Gate Bridge, and the Haight Asbury district. By far the largest of the free things to do in San Francisco in July is our free fireworks display over the SF bay on the Fourth of July. Every year, this event draws in thousands from all around the world. The show is along the waterfront in Fisherman's Wharf and starts when it is dark on the evening of July 4th. Before the fireworks show, make sure to stop by Pier 39 for their annual celebration. You will find live music and family-friendly activities all day long. They will last until right before the fireworks. The Pier 39 activities usually start around noon. Laborfest is an annual event in SF with dozens of activities, talks, and workshops that discuss labor struggles in the US. This event lasts all month long with several activities each week at venues all around SF. Discover great deals on Goldstar for San Francisco tickets for tours, events, and activities. Click the links below to learn more. Another fun free festival in July is the Salsa Festival on the Fillmore. This two-day event features free lessons, performances, and dancing in the street. Most activities are free and they welcome the public to join in on the fun. Every Sunday at 2pm in July, you are invited to another one of the top free things to do in San Francisco in July. The Stern Grove Concert Series offers free concerts in the park. They feature music from top local and international acts such as Kool & The Gang, the SF Symphony, and others. Make sure to arrive early to grab your space on the grass. I'm sure you've seen the photos of the six identical Victorian houses with the amazing view of downtown San Francisco behind them. These houses are called the Painted Ladies of Alamo Square. While they don't offer tours (they are all private houses), you can visit Alamo Square for a picture perfect view of these beauties. You can visit them all day, every day in July (and throughout the year). 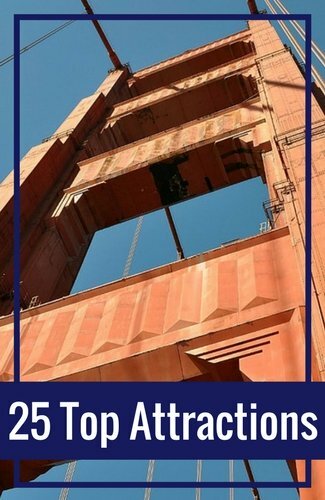 One of the must see free things to do in San Francisco in July is the world famous Golden Gate Bridge. This beautiful structure opens its walkways every morning to visitors. You can stroll along the walkway for a short distance or walk all the way to the end (1.7 miles). Make sure to also stop by their little outdoor museum to learn more about this gorgeous bridge. Another local free attraction that I'm sure you've seen in pictures is Lombard Street. It's one of the most crooked streets in the world and is an amazing place to see. In July, the flowers all along this one-block attraction are in bloom and it's absolutely gorgeous. I recommend arriving in the morning when the sun is in the best position to offer the perfect light for photos. Did you know that SF is home to almost 1,000 murals? The largest number of them are concentrated in the Mission District. Here you will find a variety of colorful murals with themes such as religion, politics, and more. You can't go wrong as you walk around this eclectic district in search of its beautiful street art. Another one of the free things to do in San Francisco in July is the Palace of Fine Arts. You can't miss the beautiful domed structure that sits about a block from the waterfront in the Marina District. It was built for the 1915 Panama Pacific Exposition and is a historic gem. 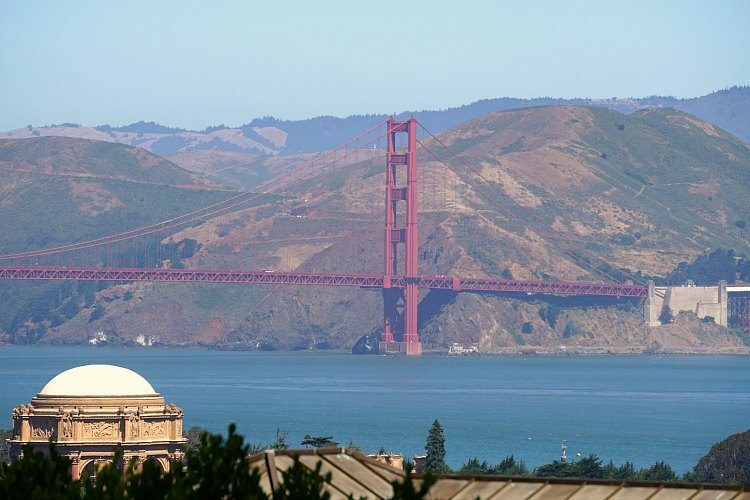 It's best to visit it on the day you plan to visit the Golden Gate Bridge. Have you ever seen how fortune cookies are made? If not, then this is your chance. This little factory is located in a small alley in Chinatown. They welcome visitors to step inside for a peek at their production. It's free to enter, but they do request $1 if you want to take a picture. 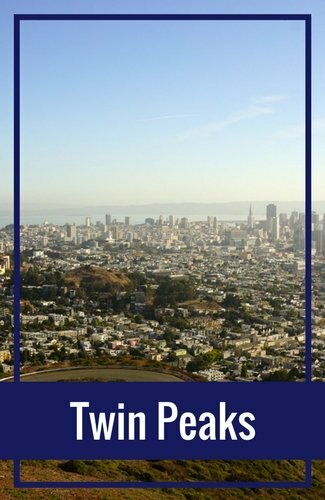 If you are looking to get your heart pumping or want some of the best views of downtown San Francisco, then make sure to visit Twin Peaks. You can get here on foot by climbing its steep trails or drive to the top. 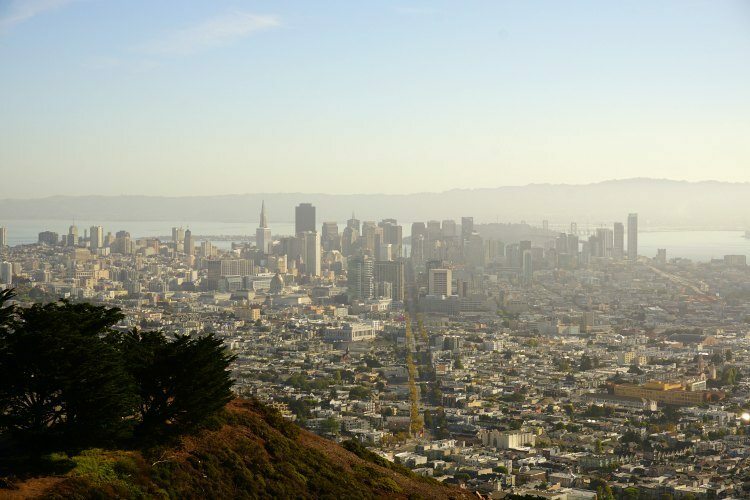 From high up on Twin Peaks, you can see downtown SF, the Golden Gate Bridge, and the Pacific Ocean. 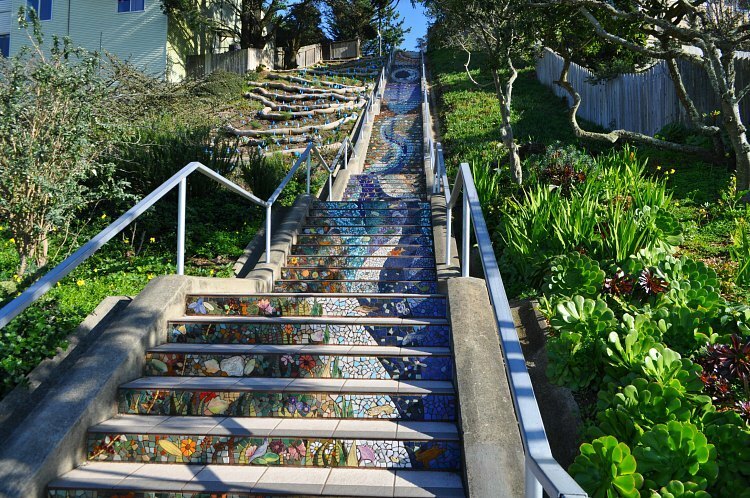 Did you know that SF has several gorgeous sets of mosaic stairs? I'm sure you've seen pictures of those at 16th and Moraga. However, there are a few others that are also a treat to visit. Don't miss out on the chance to visit these beautiful, handcrafted creations. As you can probably tell, we love our art here in San Francisco. One of my absolute favorite free things to do in San Francisco in July is to take a close look at the three historic Diego Rivera frescos. He visited our city many times and was commissioned to create three large pieces that are still on display today. 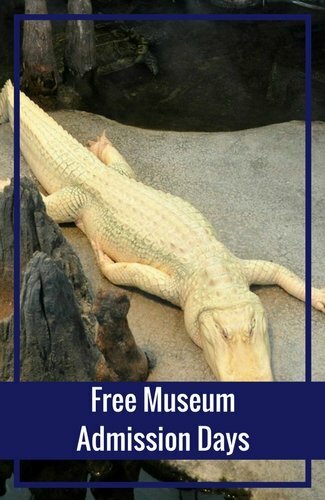 All three are free to visit, but many have specific hours that you can see them. 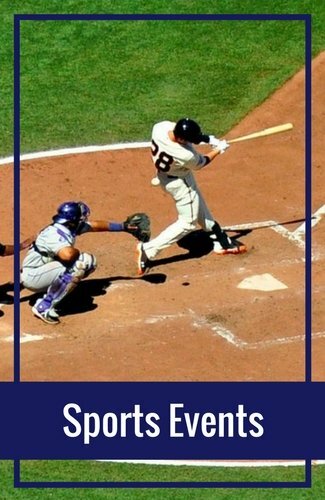 One of the unique free things to do in San Francisco in July is to see three free innings of SF Giants baseball. In the outfield area of the stadium, there is a small viewing area where you can stand and watch the game. It's a popular activity and managed closely by the Giants, so make sure to arrive early for your chance to see part of the game. Those managing the crowds will switch viewers at the end of the third and the sixth innings. This gives plenty of people a chance to see the action. Get great deals on your hotel rooms in San Francisco. Click the links below for more information. Walk, run or boat around this man-made lake in Golden Gate Park. In July, Stow Lake is a fun place to spend a few hours or an entire day. You can see the entire area including the attractions on its island at no cost. You can also rent a boat to cruise around the lake. In the summer, their small snack stand is also open. Most of the time, there is a cost to visit the Japanese Tea Garden in Golden Gate Park. However, if you enter between 9am and 10am on Monday, Wednesday or Friday, you can visit for free. It's a fun place to walk around, admire the colorful structures, and see what a true Japanese garden looks like. If you love history and art, then stop by the Rincon Murals in SF's South of Market District. These murals are inside an old post office and tell the story of the history of SF and California. They were controversial when originally painted but are now loved by everyone. One of the most fascinating things to me about them is that the artist selected to complete the murals had never visited the area first, but his murals won the contest at the time. If you've heard all about SF's cable cars yet want to learn more, make sure to stop by this dedicated museum. Inside, you will learn about the cable car history of SF, why they were installed, and what happened to many of the lines after the 1906 Earthquake and Fire. You will also get to see the actual cables in action as they pull the cars all around town. Another unique San Francisco attraction is the Octagon House. This historic house was built in the 1800s and is one of only a few still standing in SF. This one is now a museum and you can walk inside to take a look. In addition to checking out the house, you can also visit their museum. The first floor features items such as antique furniture and china. The second floor has a variety of items on display including a document with signatures of most of the men that signed the Declaration of Independence. One of the free things to do in San Francisco in July is a visit to SF's gorgeous City Hall. Your visit will start outside with a view of its bright gold dome. You are then welcome to step inside. Make sure to spend time checking out the marble staircase and the small museum (just to the left of the staircase). You are also free to wander around City Hall as you like. It's still a working City Hall, so make sure to be respectful during your stop.